Are you in need of a warm weekend getaway? Then St. George, Utah is the place for you! Visit St. George to enjoy a variety of activities. Explore the beautiful red rock sandstone during all times of the year. Enjoy watching outdoor plays as the sun goes down. Go site seeing through the many different parks and see breathtaking views unlike any other. 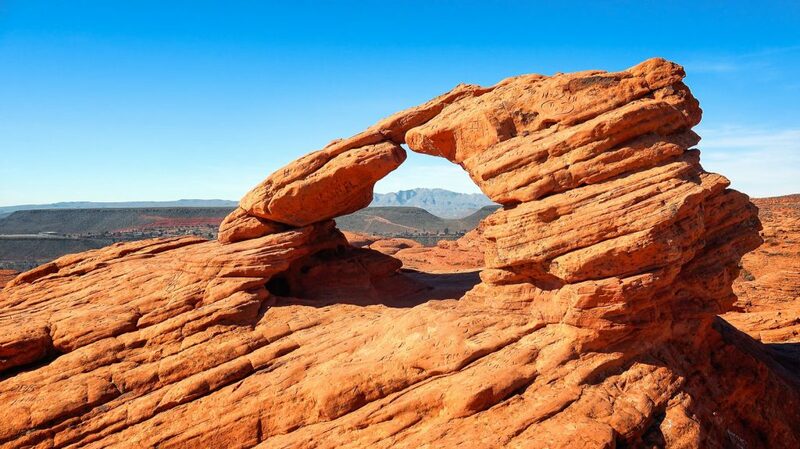 These are just a few of the many things to do in St. George, Utah! Read below to see what our top 5 things to do in St. George are. You can’t visit St. George, Utah without exploring Zion National Park! 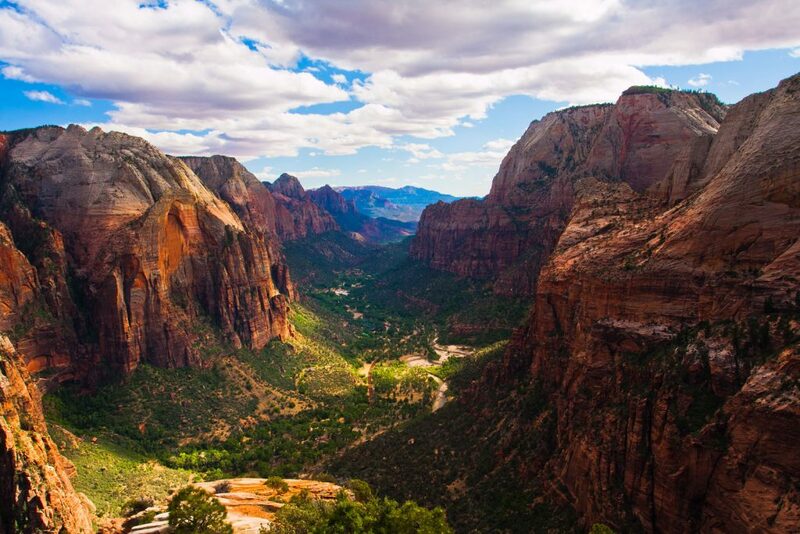 Zion National Park is an amazing canyon with over 147,000 acres of parkland. Enjoy breathtaking views as you hike to the top of Angels Landing or walk alongside the river at Riverside Walk. Take the Zion Canyon Scenic Drive to see landscapes unlike any other. You can also spend the night camping at either Watchman, South or Lava Campgrounds. Zion National Park has it all! Come to St. George and experience hiking, biking, rock climbing, canyoneering and camping at Zion National Park! If you like movies, plays, concerts, musicals or being outdoors then Tuacahn is for you! Tuacahn Amphitheatre let’s you enjoy an outdoor show unlike any other. In the spring of 1995, Tuacahn Amphitheatre opened its doors for the first time. Seating 2,000 people, the outdoor Amphitheatre brings a show to life right before your eyes. Enjoy their 2017 Broadway Season filled with the amazing shows Shrek the Musical, Newsies, and Mamma Mia. You can check ticket pricing or purchase your tickets online. Visiting Tuacahn is just one of the many things to do in St. George, Utah! 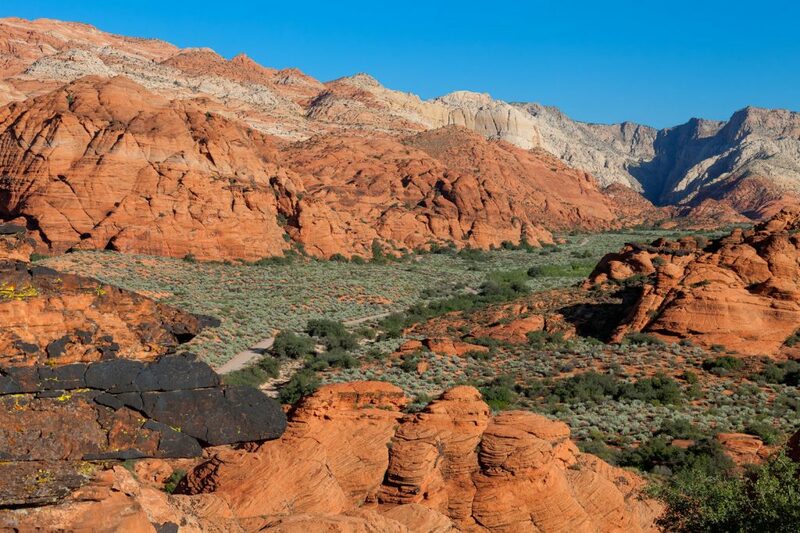 Located in the Red Cliffs Desert Reserve, Snow Canyon State Park is a 7,4000-acre scenic park. Enjoy majestic views as you explore the 38 miles of hiking trails. If you plan on visiting for the day, it costs $6 for a vehicle with up to eight people and $2 for a vehicle with nine or more people. Explore views of nature at Snow Canyon State Park by looking for wildlife while hiking, biking or camping. This is a family friendly park to visit on your next vacation to St. George, Utah! Enjoy the heat of St. George by going on the Kanarraville Falls Hike! This is a water hike that you’ll want to cool off in during those hot summer days! The hike is 4.8 miles round-trip and is covered with lush trees and plants. The best time of the year to go is late spring, summer, and early fall. It doesn’t cost to hike Kanarraville Falls, but if you are parking a car then there is a $10.00 parking fee. Enjoy walking through the flowing stream the entire hike! 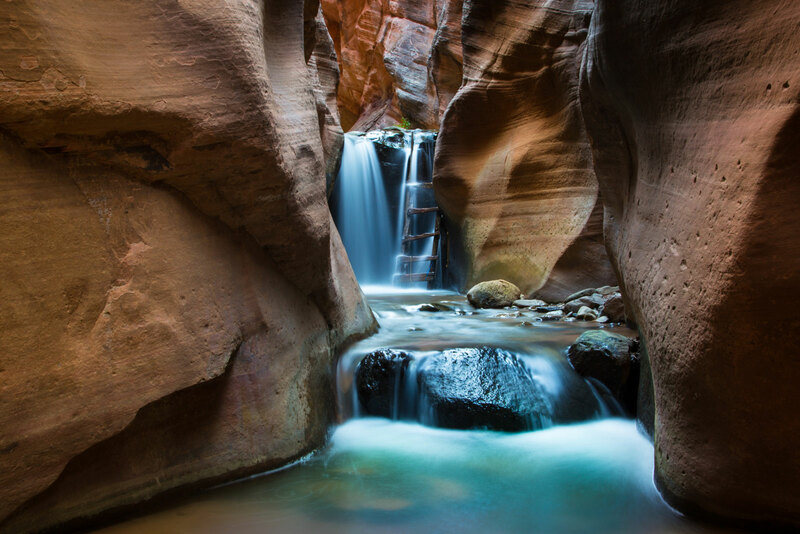 Remember to visit Kanarra Creek and enjoy the hike to the falls next time you visit St. George, Utah! If you are a person that enjoys exploring and rock climbing, then Pioneer Park is for you! Pioneer Park has over 52 areas of land and offers an amazing view of Zion National Park and part of Arizona. This is a free park that is fun for people of all ages. Venture out to find Boy Scout Cave, slot canyons or Dixie Rock. Spend the day exploring with family and friends at Pioneer Park! This is another fun thing to do in St. George, Utah. Salt Lake Express, a shuttle service company popular along the northern I-15 corridor, is expanding their routes and services to the southern Utah region. The company has acquired St. George Express, a local shuttle service based out of St. George, Utah. St. George Express has been serving the southern Utah area both in daily routes and charter services for the past 8 years. Copyright © 2018 St. George Express. All rights reserved.